Buy a license of SMP/IS 3DP and receive a free license of SolidWorks Translator. SolidWorks® Translator is a valuable time saving tool that will make importing sheet metal parts fast and easy. Facilitate a more seamless integration with SolidWorks®. Flatten your sheet metal parts and import them into SMP/IS with a single click of the mouse! Save several steps in the transition from SolidWorks® to SMP/IS! Optional Add-in that installs within SolidWorks®. Send parts with or without bend lines to SMP/IS. 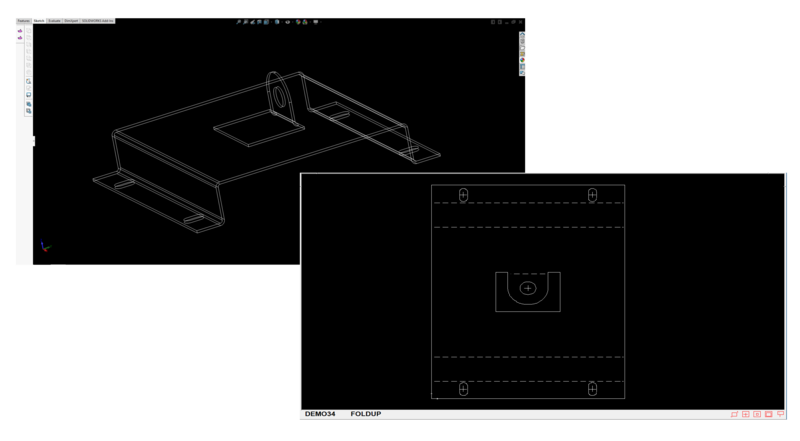 When you click one of the two icons, the Translator will flatten your sheet metal part, export a DXF file, then import that file into SMP/IS automatically.